Ductless HVAC Systems Fredericksburg, VA | Robert B. Payne, Inc. If you live in a building that was made without air ducts or one that has inefficient heating and cooling, Robert B. Payne, Inc. has the perfect solution for you with ductless air conditioning and mini splits. A ductless HVAC system allows you to successfully and conveniently cool or heat a room to your liking. We pride ourselves on being professional experts on cost efficient and cutting edge HVAC services and products. When we install mini splits, all we do is mount the outdoor and indoor units, connect the refrigerant lines together and make the necessary electrical connections. It is as simple as that. The reason that you should allow Robert B. Payne, Inc to handle your ductless HVAC system installation is that we only offer heating and air conditioning products of the absolute highest quality. We make sure that our customers enjoy cost efficient, quiet and easy-to-use products. No matter how simple or complex the installation or servicing needs are, our technicians use the highest precision and skill with every job that they do. Not only are ductless HVAC systems easy to install and use, they can also come with special anti-allergen filters to improve your interior air quality. Ductless air conditioning and heating units, often referred to as split-system units, consist of a condenser unit mounted on the exterior of the building and an evaporating unit mounted on the interior. Unlike traditional air conditioning and heating units, these split systems use no overhead ductwork. It’s difficult to accurately estimate the costs associated with a ductless HVAC system. We have been installing HVAC systems for over 20 years with exceptional results. We can even complete a turn key job — perfect for rooms above the garage, a sun room, or the basement! One thing you can count on is an affordable installation. At Robert B. Payne, Inc, we price our services competitively, so that you can receive the installation, repair, and maintenance services you need without breaking the bank. Before we begin any work, we’ll evaluate your home and help you select the right unit. You can easily schedule this consultation by calling our offices. Ductless air conditioners are designed to be as efficient as possible. They operate quietly, and provide homeowners with flexibility. Since these systems do not need cumbersome ductwork, they can deliver frigid air virtually anywhere within the building, using ceiling- or wall-mounted indoor units. Like most major home appliances, these units absolutely must be professionally installed. Despite ductless HVAC systems’ popularity, few consumers understand the technology involved in these systems. This means that you should certainly not attempt a do-it-yourself job. 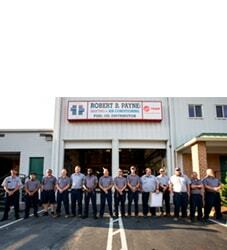 At Robert B. Payne, Inc, our in-house technicians have the experience, training, and tools to perform an installation promptly and professionally. Furthermore, we can answer any questions and advise you on the proper use and application of a ductless air conditioning system. Our expert advice will help you make the most of your new air conditioning system. While many people have heard of ductless cooling and heating systems, most have not witnessed their benefits firsthand. These indoor devices are installed high up on the walls of a home, restaurant, or office. The cost-saving effect of ductless air conditioning is possibly the most significant benefit to consider as a homeowner. In recent years, the cost of utilities in the home has skyrocketed. If you are working with an inefficient cooling system, your monthly bills will grow out of control. A ductless system, on the other hand, operates using far less power, is smaller, and delivers temperature-controlled air directly to any room in the house. It will also improve your indoor air quality. Air ducts must be professionally cleaned regularly; a ductless system, on the other hand, significantly reduces the dust, bacteria, and pollen in a house’s indoor air. Ductless HVAC systems are some of the most efficient units on the market. You want to make sure yours stays in the best shape possible! It’s easy to forget about proper cleaning or maintenance. Unfortunately, failure to care for the unit could shorten its lifespan and reduce its efficiency. At Robert B. Payne, Inc, we’ve learned a few things about ductless HVAC system maintenance over the years. First of all, make sure that you keep the outside unit clean and free of debris. Over time, overhead trees may shed their leaves, covering the exterior unit. At the same time, dust and other particles may gather inside the unit. To prevent any issues, dust the outdoors unit once a week. You should also change out the filters every four to six weeks for optimal performance. Dirty filters decrease your air conditioning system’s efficiency. A fresh filter will promote increased airflow. What are ductless HVAC systems used for? If you want to increase your home’s energy efficiency and lower your monthly utility bills, you should invest in a ductless HVAC system. These units are safe, durable, and silent. They can heat or cool a room for a fraction of the cost of ceiling heat or electric furnace systems. The ductless HVAC system uses heat pump technology to efficiently produce warm or cold air. 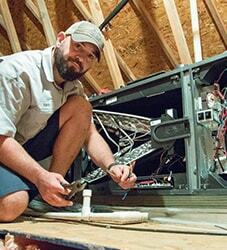 Many people choose to install an HVAC system to replace a worn out, traditional heat system. In addition to cutting costs, these systems give homeowners more control over the temperature of their homes. Using the remote that comes with each unit, homeowners can dictate both how much air is pumped and the temperature of that air. Robert B. Payne, Inc has installed enough ductless systems to be sure that these systems’ pros benefits far outweigh any potential disadvantages. A ductless heating and air conditioning system is one of the most efficient cooling systems that homeowners can take advantage of; the unit will provide consistent comfort throughout your entire home. 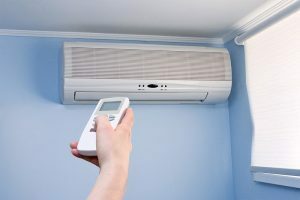 Before you decide to on the system, however, you should consider what is required to successfully install a ductless air conditioning and heating system. The most important aspect of the new cooling system is the ductless heat pump or air conditioner, which typically consists of a single wall-mounted indoor unit that is combined with an outside compressor. Only a single small hole must be drilled into the wall, making the whole unit less vulnerable to leakage or security issues. That’s it! The system can be professionally installed, as it should be, to remain as productive and useful as possible. Ductless heating and cooling is energy-efficient, environmentally friendly, and is highly customizable. 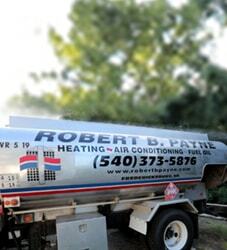 To learn more about ductless heaters and air conditioners, or if you’re in need of air conditioner maintenance or repair for your current unit, do not hesitate to contact Robert B. Payne, Inc. online or call us at (540) 373-5876. We are here to save Fredericksburg home and business owners time and money.